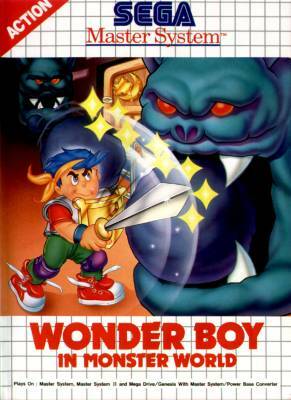 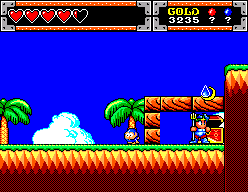 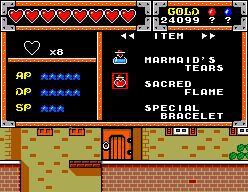 Wonder Boy in Monster World - Games - SMS Power! 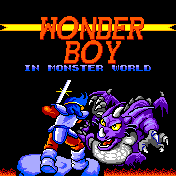 As the legendary hero Wonder Boy, it's up to you to rid Monster World of the terrible creatures that have taken over Purchase your armor, weapons and spells, and embark on a quest through fantastic lands in search of the source of the evil monsters! 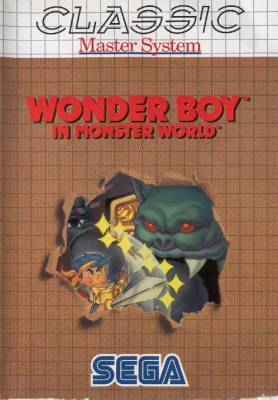 There is a development page for Wonder Boy in Monster World. 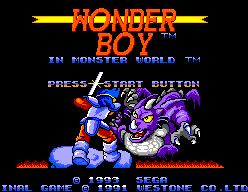 Visit it to see technical discussion of this game.